In their counter lawsuit, Fiji Water argued that Ms Cuthbert signed on as a water ambassador for one year in exchange for $90,000. They claim the agreement allows the company to use Ms Cuthbert’s name, likeness and performance during the one-year term. 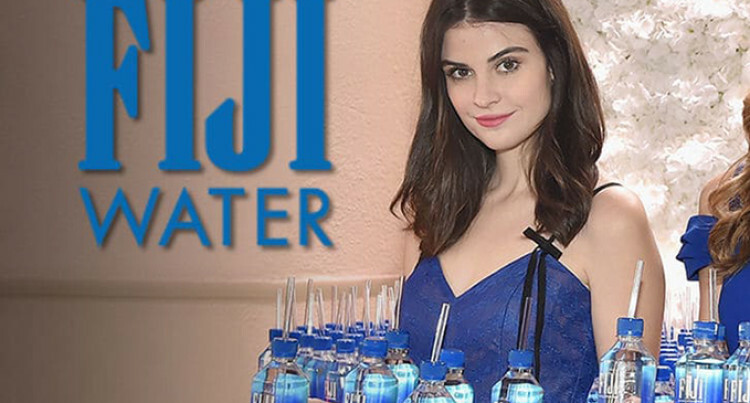 Fiji Water has filed a counter lawsuit against model Kelleth Cuthbert in Los Angeles on Friday. Ms Cuthbert became famous for photobombing celebrities while serving bottles of Fiji Water on the red carpet during this year’s Golden Globes Awards. Following her rise to stardom, she sued the bottled water company for using her fame as a marketing tool allegedly without her consent in post-Golden Globes marketing campaigns. In their counter lawsuit, Fiji Water argued that Ms Cuthbert signed on as a water ambassador for one year in exchange for $90,000. They claim the agreement allows the company to use Ms Cuthbert’s name, likeness and performance during the one-year term. They said she signed a real contract, but conveniently, she took the only copy adding that they showed her the cut outs and clarified the marketing plan. Fiji Water claims that Ms Cuthbert has been publicly referring to herself as a brand ambassador, even as she promotes other products which is a violation of her contract. They accused her of biting “the hand that feeds her” and crossing “the very company that is entirely responsible for providing her the opportunity and the means to capitalise on her fleeting 15 minutes of internet fame”. Fiji Water has sought relief from the Court for monetary damage and legal fees and have made submissions for Ms Cuthbert’s lawsuit to be thrown out. A statement released by Ms Cuthbert’s lawyer Kecia Reynolds in response said that the complaint filed by Fiji Water is “an obvious publicity stunt to counter revelations of Fiji Water’s unlawful actions. “Kelleth will not be bullied by Fiji Water, the Wonderful Company, or its billionaire owners,” the statement said. Ms Cuthbert’s lawyer claims that Fiji Water profited from the use of her image for marketing purposes and she was legally entitled to damages and profits from the same.